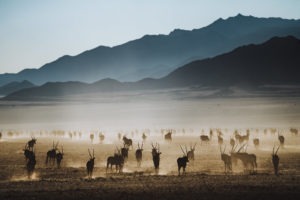 Namibia possesses some of the most spectacular landscapes in the world and a trip through the South of the country is one of the greatest adventures. A must on everyone’s bucket list. 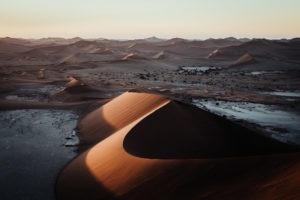 South Namibia offers diversity like no other country with the towering red sand dunes of Sossusvlei, the vast Fish River Canyon and the magnificent NamibRand Nature Reserve. Avid photographers be warned: you will be hooked! 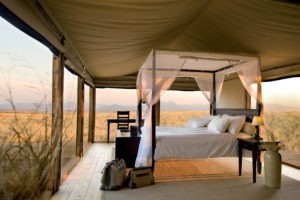 This trip offers the chance to experience South Namibia in all its beauty. Starting off in Windhoek, the capital of Namibia this trip continues southbound towards the Kalahari and the Fish River Canyon. 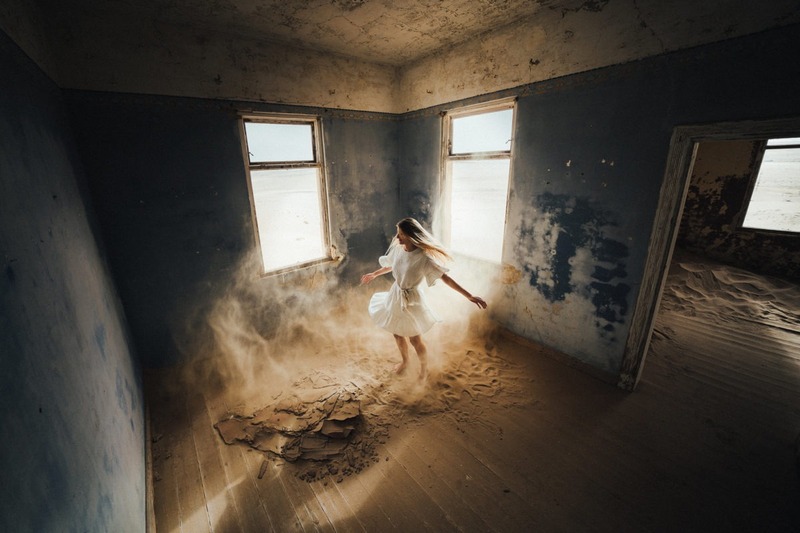 From there you’ll visit the coastal town Luderitz with the eerie ghost town of Kolmanskop. 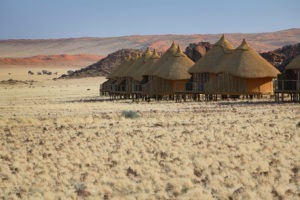 En-route north you’ll spend two nights in magical NamibRand Nature Reserve followed by the highlight of the trip: The world’s highest sand dunes in Sossusvlei. Enjoy the breeze and some excellent seafood in Swakopmund before returning to Windhoek. 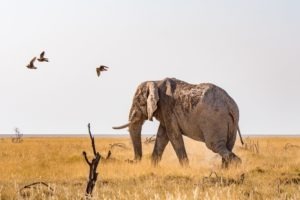 Namibia is a perfect self-drive country, thus this trip can be organized ideally for individual travellers or alternatively accompanied by a private guide. 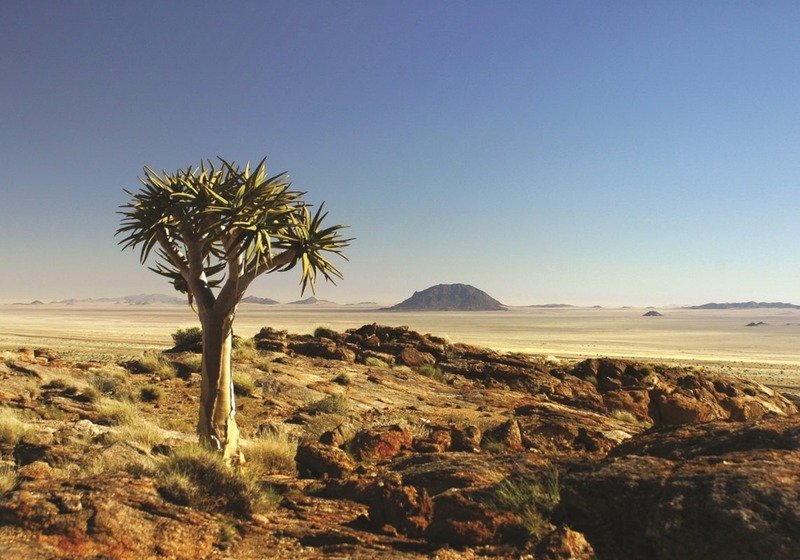 Travelling is possible throughout the whole year, as Namibia is a year-round destination with less extreme seasonal changes. A great time to visit Namibia is between March and May as it is a moderate temperature with warm days and chilly nights and little to no rain falls during this period offering beautiful clear skies. The selected accommodation is comfortable and special settings provide a very authentic experience enabling travellers to enjoy Southern Namibia in all its beauty. Welcome to Namibia! 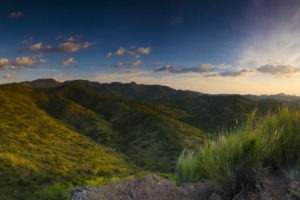 Windhoek is the perfect start to your trip. 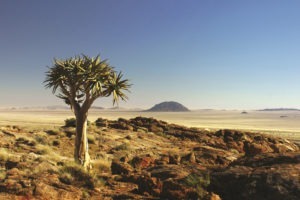 You will have some time to recover from the exertions of the flight and explore the capital of Namibia. The city is clean, safe and well-organised, with a colonial legacy that is present in the widespread use of the German language. 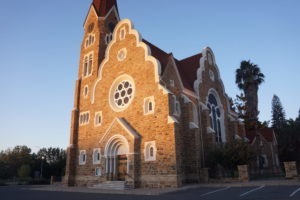 Visit some city sights, such as the 1896 Christuskirche Christ Church, Alte Feste – an old fort or the more contemporary Independence Memorial Museum. Typical for Windhoek are the many street vendors, who offer their handicrafts where you can buy your first souvenir. Enjoy your first evening in one of the city’s restaurants, e.g. Joe’s Beerhouse, which offers delicious and authentic food inspired by the fascinating character of Namibia and its people. The River Crossing Lodge is located in a private game reserve directly outside Windhoek and offers a beautiful view over the city. Making you way towards the south your next stop offers you a first taste of the adventures that await you on your journey. 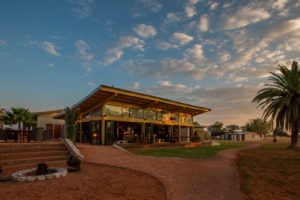 The Kalahari Anib Lodge is surrounded by the sands of the Kalahari, which is famous for the intense colours of its sand. 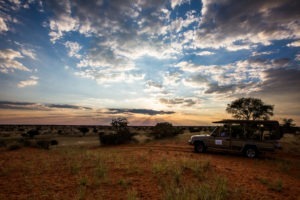 Explore the Kalahari on a morning or sunset drive and enjoy the beauty of this special place and its magical colours. The best time to experience it is when the sun dips in the late afternoon and lights up the sand as if glowing from an inner fire. 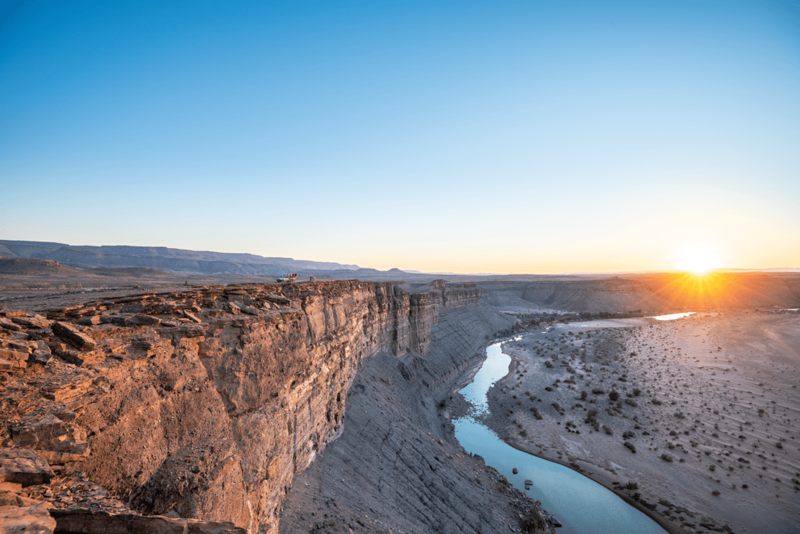 Today you’ll experience a highlight of South Namibia: The Fish River Canyon, the world’s second largest canyon, which measures 160km in length, up to 27km in width and reaches a depth of 550m. Nothing quite prepares you for the size and vastness of the canyon, a surreal experience that offers endless photo opportunities. 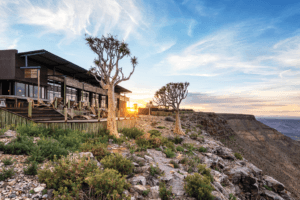 The Fish River Lodge is the only lodge directly bordering the rim of the canyon and thus you will have a truly magical experience. Enjoy the view from your private deck – during warm nights it is even possible to sleep outside right under the stars. You can enjoy the canyon by vehicle, bike or on foot – special hiking packages are offered exclusively to guests of the lodge. 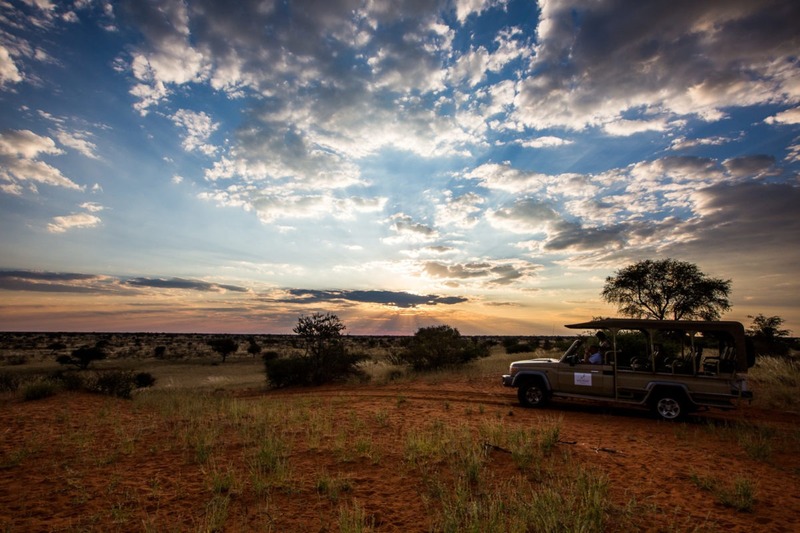 If you want something more relaxing, spa treatments are available or experience the magical light during a sundowner drive. Leaving the imposing landscape of the canyon behind you, you’ll continue your journey towards the coastal town Luderitz. You’ll be surprised to find the wild horses of the Namib, which are roaming the region on your way to Luderitz. The town is characterized by many colourful buildings, which have been built during the time of German colonialization. You can spend the afternoon wandering the streets, visiting Felsen Kirche, a church that dominates the town from high-up on Diamond Hill, from where you have a nice view over the bay and the town. Diaz Cross, is also worth a visit, as it is the place where Bartholomew Dias first reached Namibia. The next day you should go to Kolmanskop, an abandoned German mining town just outside the town of Luderitz. A whole town trapped in time and swallowed up by the desert makes for the most unbelievable photos. Founded in the 1900s the town was once a prosperous diamond mining community that lasted 40 years, now dilapidated and slowly being reclaimed by the sand. An eerie place with plenty of photo opportunities. Luderitz Nest Hotel offers a unique on the rocks and sea location, with far reaching uninterrupted views. The hotel’s private beach with walk-on jetty allows the guest to get close-up to the sea. The next part of your route will be truly magical and you’ll experience many different landscapes. The further you’ll drive the sandier and redder your surroundings will become. 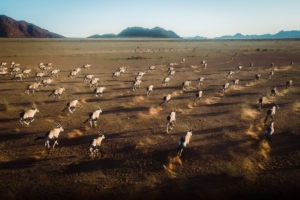 Your destination is the NamibRand Nature Reserve – an area that offers a visual utopia you probably have never seen before. The diversity in the park offers contrasting colours and shapes that leave you inspired. The reserve is rich with history, flora and fauna and unusual phenomenons like the fields of mysterious fairy circles. 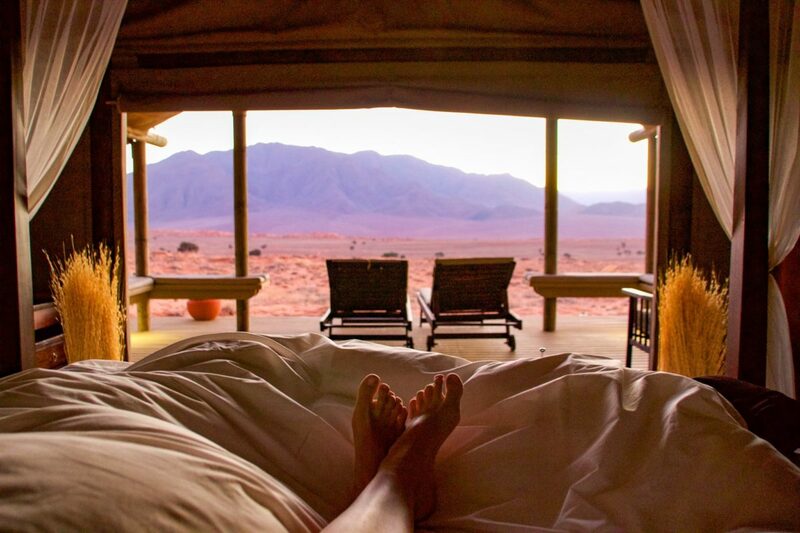 Wolwedans Dunes Lodge offers a breath-taking location capturing the beauty of the desert in an unforgettable way. To top it all off: The ecolodge is built to minimize the environmental impact whilst using sustainable technologies. 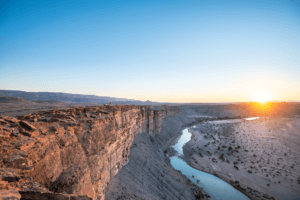 Spend your time exploring true wilderness and join a variety of activities: soar the desert skies in a hot air balloon, learn about small and large desert dwellers on a scenic drive, or explore the desert on foot on a walking safari. It is hard to surpass the experiences of the last days, but the next stop can definitely compete with it. Making your way further through the desert towards the world’s highest sand dunes in Sossusvlei, which is a memorable sight not to be missed when visiting Namibia. The national park boasts towering waves of deep red sand as far as the eye can see and captures nature in its absolute purest and simplest form. Fascinating desert animals and plants have adapted to the harsh conditions and now thrive in this arid environment. Experience the beauty first hand by climbing the dunes, although quite a challenging and sandy hike, the view from the top is unforgettable and really puts the size and vastness of the desert in perspective. 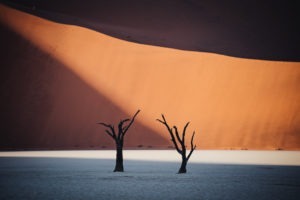 Deadvlei is another magnificent site to see in the area and is a photographer’s paradise. The contrasting colours of the white clay pan filled with dark, dead trees, surrounded by the deep red dunes and under the crisp blue skies is an unusual and spectacular sight. Sossus Dune Lodge is the only lodge inside Namib Naukluft National Park, so you will be granted early and late access to Sossusvlei and Sesriem Canyon, which will make the experience even more special. 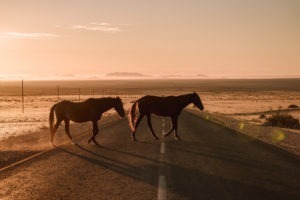 Passing through the desert along the Naukluft Mountains and beautiful landscapes you’ll reach Swakopmund, a small city on the Atlantic Ocean. Enjoy the breeze! 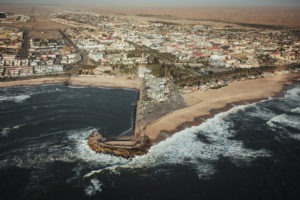 Swakopmund is a city full of contrast: The colonial German architecture seems surreal in its surroundings and the hot desert winds collide with the breeze of the ocean. Spend your day strolling through this fascinating city where palm trees line the promenade, visit some cosy cafés or spend time in the bustling markets. Swakomund and the surrounding areas offer a variety of interesting activities – on land, at sea or in the air. You can book some marine activities on the Atlantic Ocean like kite surfing, kayaking or join a seal and dolphin boat cruise. 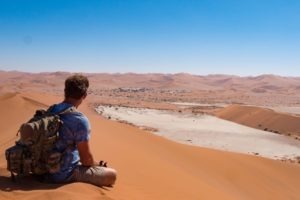 Explore the desert on special tours to learn more about the fascinating variety of desert adapted animals.If you are seeking adrenaline you can also go quad-biking, try sand boarding or take a scenic flight to have the ideal view of this unique place, where the desert meets the ocean. Swakopmund offers a variety of excellent sea-food restaurant. You could have dinner at “The tug” or Jetty 1905, which are both located at the shore, so you can watch the sun set over the ocean and enjoy some delicious food. Back in Windhoek you can spend your last day in Namibia strolling around the city or simply reminiscing about all the unforgettable memoires made in this beautiful country, before returning to every-day-life.